We are celebrating our new office space with a ribbon cutting ceremony on August 16. We recently relocated to a larger office due to our company’s growth. 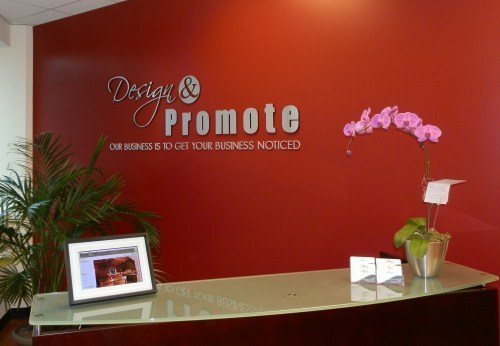 Design & Promote, a Naperville web design and search engine optimization company recently moved to our new business location on McDowell Road. On August 16, we’ll be celebrating that move with a Ribbon Cutting Ceremony hosted by the Naperville Area Chamber of Commerce. The event will be officiated by Naperville Mayor A. George Pradel. Design & Promote joined the Naperville Area Chamber of Commerce three years ago. Since then they have become active in the community as well as the Chamber’s TEAM B2B (www.teamb2b.net). TEAM B2B is a group of Naperville-area businesses that meet to support each other via networking, education and exchange referrals. The Ribbon Cutting Ceremony will be held on August 16 at the new Design & Promote office. The office is located at 1952 McDowell Road, Suite 100, Naperville, IL 60563. The event runs from 4pm to 5 pm. Free appetizers by Belgio’s Catering will be available and Design & Promote will be providing complimentary beverages, including wine and beer. The event is open to Design & Promote clients, members of the Naperville Area Chamber of Commerce and area business owners and employees that are interested in learning more about the company or supporting local businesses. “We are really looking forward to working in the new office space. It is a state of the art building able to support the technology we need to provide professional web design and SEO services. The location can’t be beat; it’s convenient to highways and retail shops. Anyone who is interested in Design & Promote is welcome at the Ceremony. We’d love to get the support of the local community and meet our new neighbors,” said Jones. Design & Promote is a Chicago search engine optimization and web design company. In addition to web hosting, domain registration, graphic and logo design, the company includes on-page search engine optimization in all of their clients’ website launches. Additional services offered by Design & Promote include press releases, newsletters, and social media marketing. About Design & Promote: Design & Promote is a company that offers SEO, website marketing and web design in Naperville, IL. The company uses a professional team of web designers, SEO experts and marketing consultants to help create websites that look great, help convert customers and stay at the top of the search engines. To learn more about what this Chicago SEO firm can do for your company, please visit https://www.designandpromote.com.